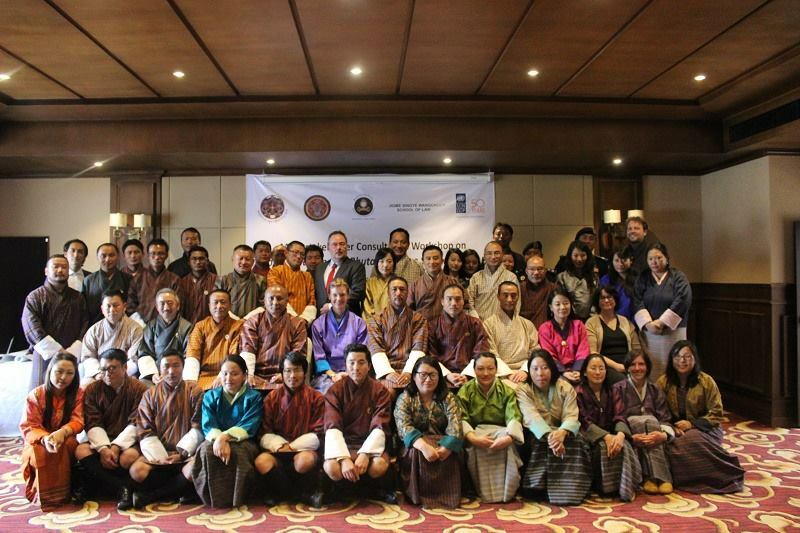 The Office of the Attorney General (OAG), Jigme Singye Wangchuck School of Law, the Supreme Court and the Gross National Happiness Commission (GNHC), with UNDP’s support, set out to map and integrate a justice sector plan for Bhutan’s 12th Five Year Plan (FYP) at the Justice Sector Strategy Workshop on 25th July 2016. 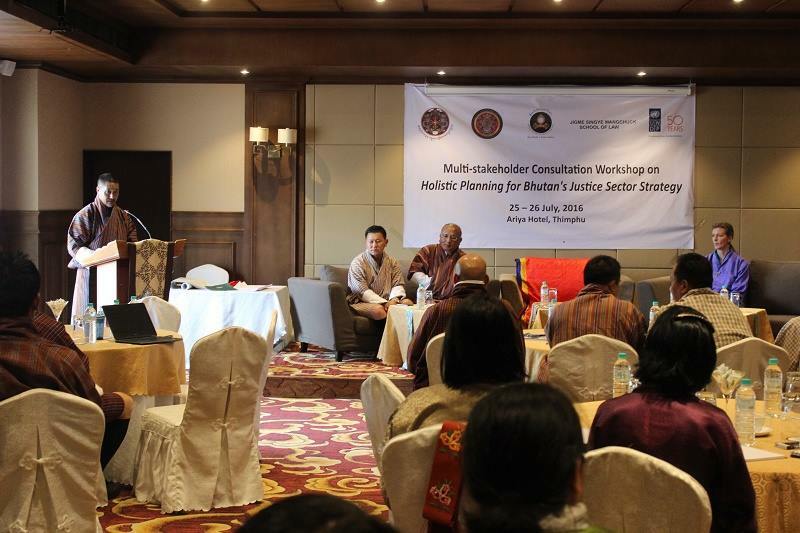 Speaking at the event, the Chief Justice of Bhutan Lyonpo Tshering Wangchuk said that the rule of law and fair justice is critical to sustainable development. While justice is traditionally associated with peace, it is increasingly tied in with socioeconomic development and must therefore be approached in a holistic manner. The Attorney General said that unless there is this procedural justice—which is clearly laid down, clearly understood, and exercised consistently in an integrated manner—one would not get proper justice from the courts because prosecution would not have quality evidence and will result in loss of national resources. Participants expressed that the justice system lacked support in the past and continues to suffer with inadequate infrastructure, lack of funding, and human resource constraints that impede the functioning of the institutions. Bringing the various agencies from across the justice sector together, the consultative workshop encouraged all actors to work collaboratively rather than in silos, so as to enhance the overall efficiency and effectiveness of the justice system. A white paper was developed to direct an over-arching strategy that maps out the current scenario and a framework for the justice sector. In an unprecedented move, this shift in thinking is reflected in the proposed 12th FYP guideline, where strengthened justice services and institutions are proposed as a National Key Result Area (NKRA).